In the ICF Global Member Directory, you can search for ICF Members and verify their credentials. To start your search, you need to click AGREE to maintain the privacy of each Coach. Then you'll be brought to a page like below. 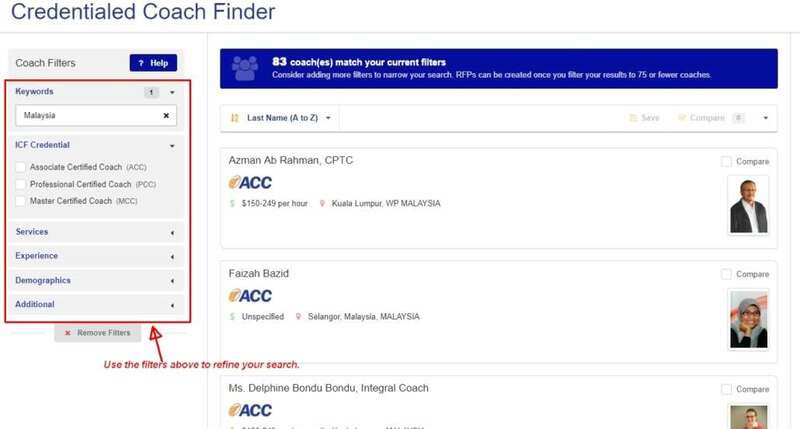 Use the filters to refine your search for Coaches from Malaysia and all over the world.